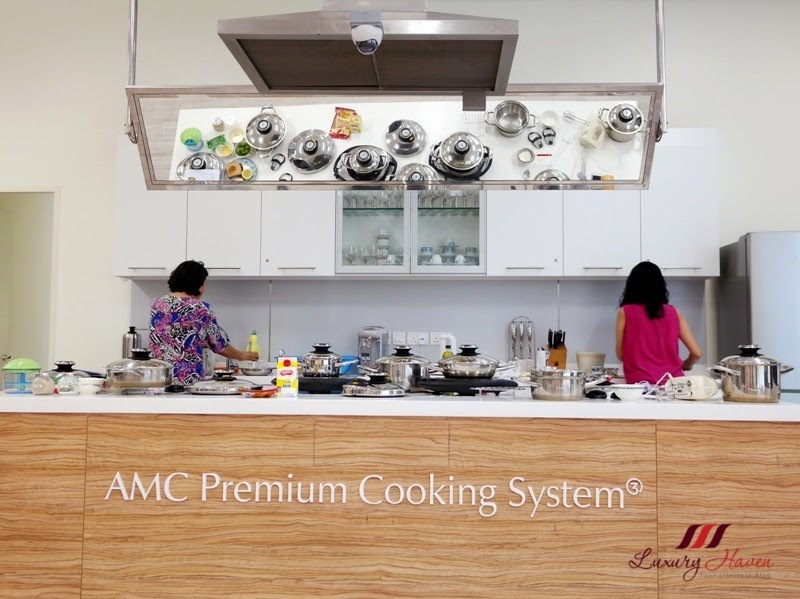 AMC Premium System Healthy Cooking Demo + Readers' Discount! 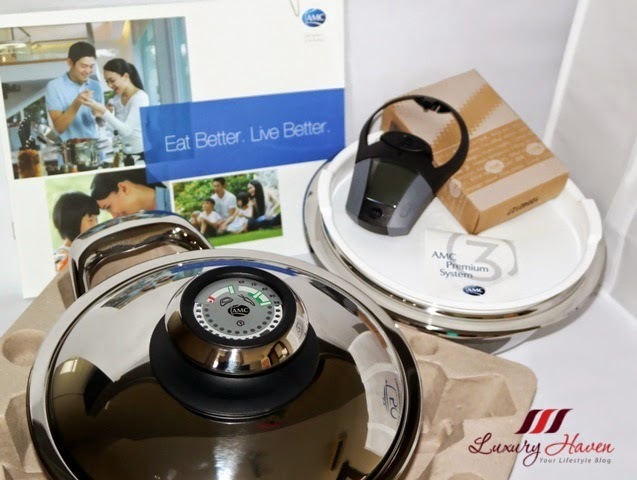 You are here:Home » Product Reviews » AMC Premium System Healthy Cooking Demo + Readers' Discount! 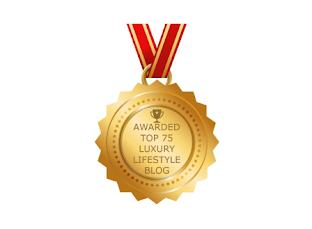 Health and delight under one lid with the most intelligent cookware unit in the world? 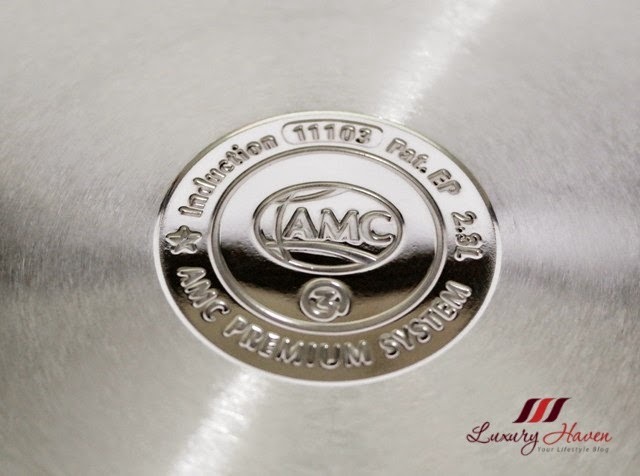 AMC is the global market leader in the field of premium stainless steel cookware, a pioneer in innovation cooking system for more than 50 years history! 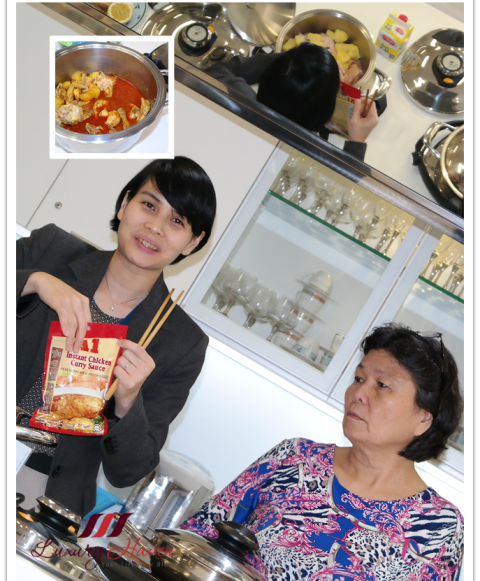 I have heard about the many goodness of AMC Premium System like cooking food with zero oil, and vegetables without adding water, so I was exhilarated when invited to attend their Healthy Homemade Cooking Experience at their Toa Payoh Cooking Studio. 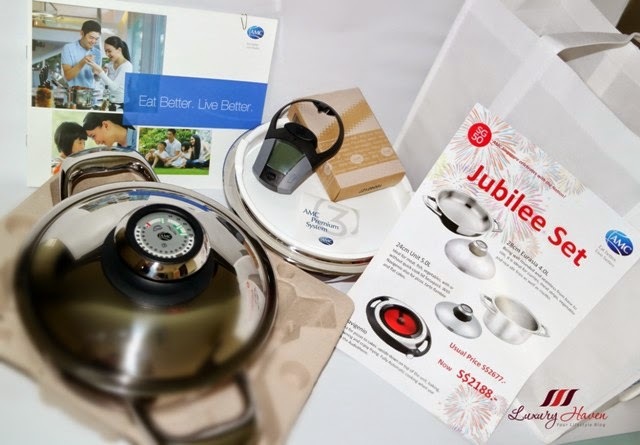 Thanks to #AMC Singapore, I am now a proud owner of the AMC Premium Cooking System from Germany! 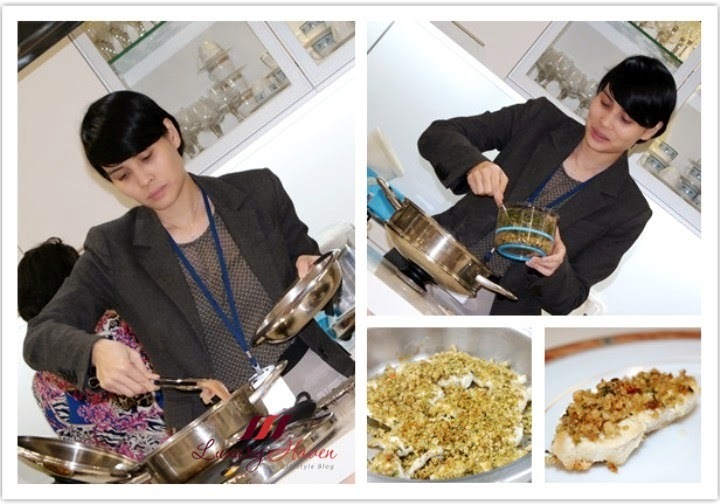 The AMC Cooking Demo kicked off with an introduction to their intelligent cookware by Kay, Head of Sales and Marketing. AMC Multi-talent 20 cm, 2.3L Pot, about SGD 450 ( approx USD 340 ). 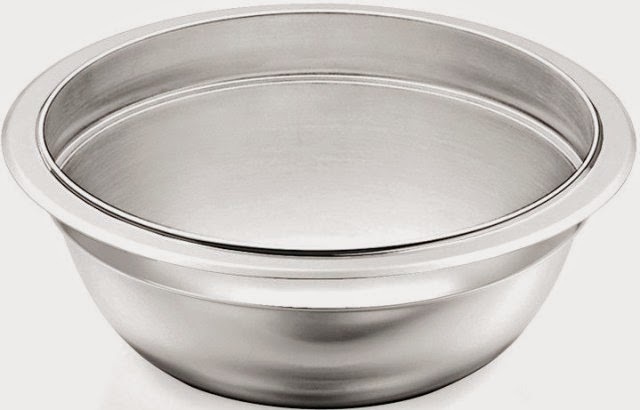 * Pot not sold as a single unit, but only in sets as featured at the end of the post. 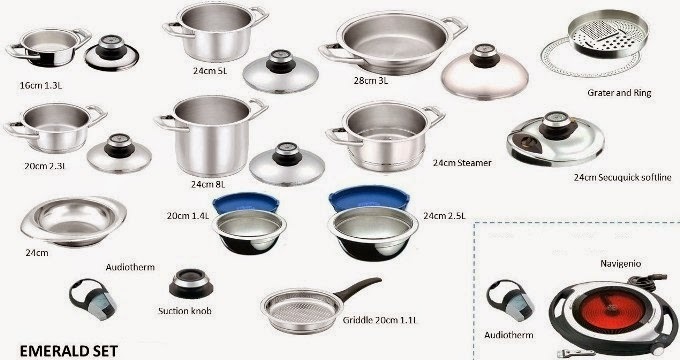 The AMC Pot is the multi-talent among all the AMC units that meets all cooking needs of a family. 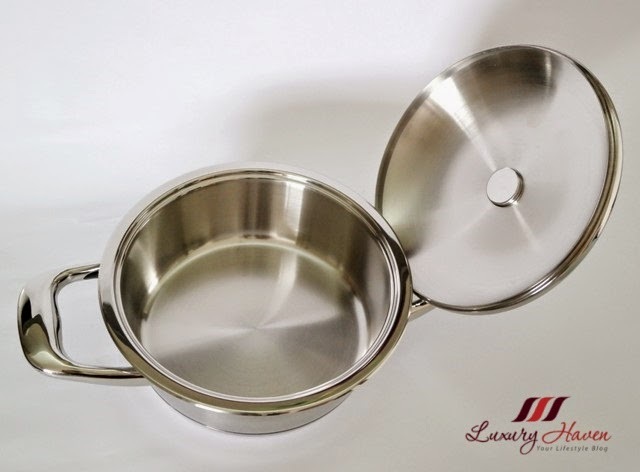 The Thermoblocs in the stainless steel handles prevent spreading of heat to them from the body of the pot. . 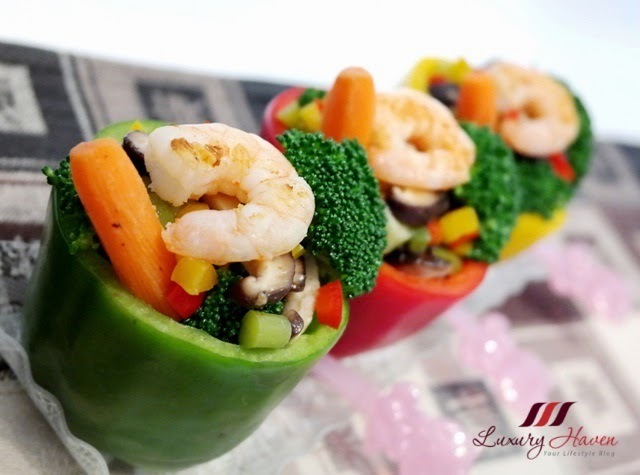 In this way, you can effortlessly remove the pot from the stove and carry it to the table. The Akkutherm-Base allows swift absorption and distribution of heat, while the Sensotherm measures temperature inside the pot. 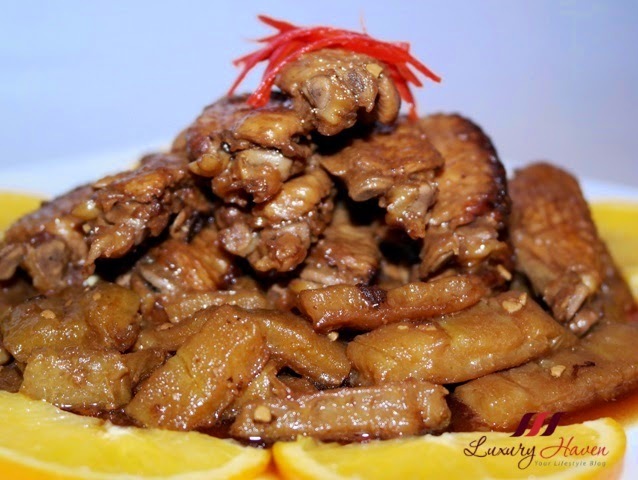 Makes the application of waterless and fat-free cooking methods easier. 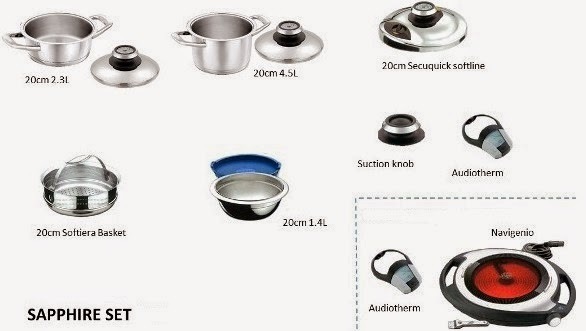 The AMC Audiotherm is a high-tech designer item with integral radio module that acts as the voice of Visiotherm and indicates when cooking process is completed. In combination with the new Visiotherm and Visiotherm S, it monitors the whole cooking process. In radio contact with the Navigenio, it provides fully automatic cooking with a guarantee of success. 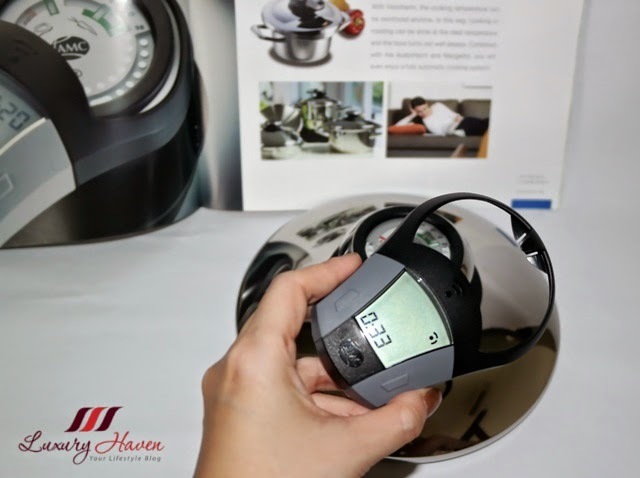 * Practical cooking tip: The simplest way when cooking, frying or rapid cooking is always to use the Audiotherm to monitor the ideal cooking temperature range. As part of the perfectly designed AMC Premium System, the Multi-talent 20 cm, 2.3L Pot can be perfectly combined with the Softiera insert, Grater-Shredder-Slicer Insert and Combi bowl to do multi-cooking like steaming, boiling pasta / noodles, and double–boiling. 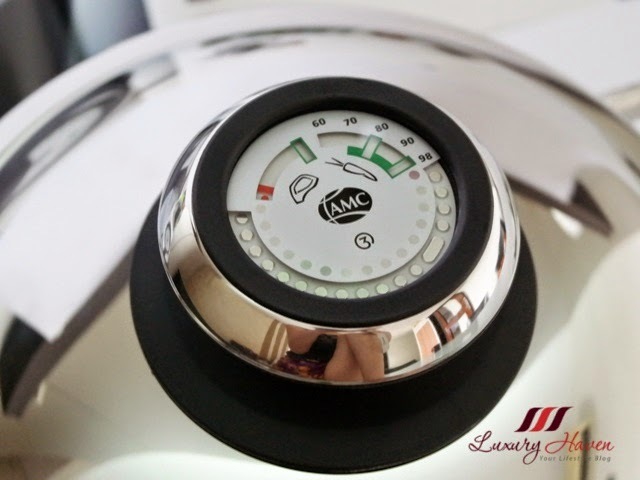 The AMC Premium System is suitable for all types of cookers – from gas to induction. 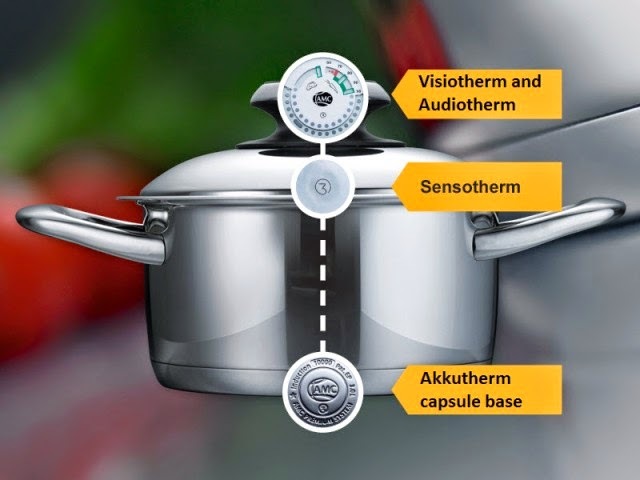 The interplay between the Akkutherm, Sensotherm and Visiotherm means the AMC Premium System® provides a 3-fold guarantee that every meal will be a success – with the Navigenio and Audiotherm even fully automatically. 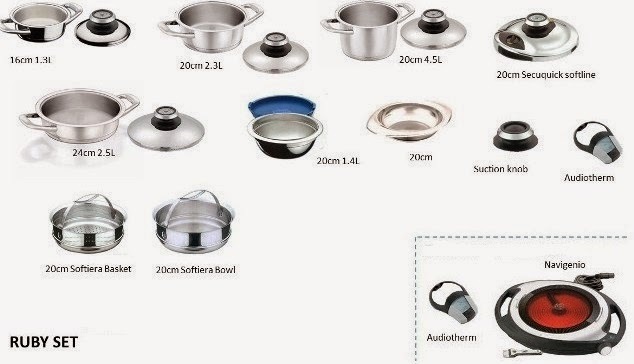 The top quality of the products allows AMC to give a worldwide guarantee of 30 years for their AMC cookware units, combi bowls and serving bowls, and platters in stainless steel, and the stainless steel parts of the AMC Secuquick softline from the date of handing over to the buyer. Two years of guarantee are offered on non-steel parts. 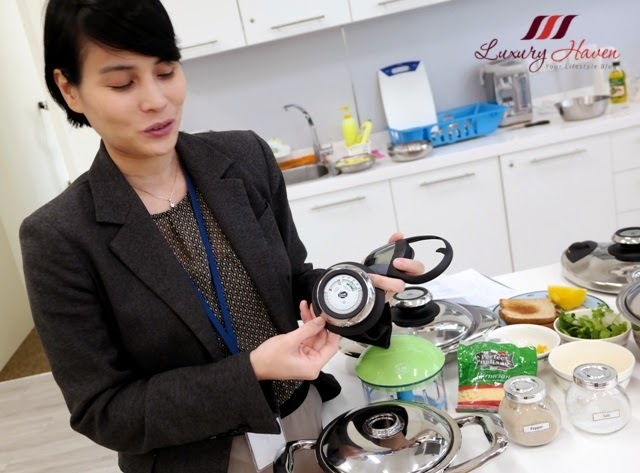 Come, join the happy mummies with our AMC Premium System Intelligent Cookware! 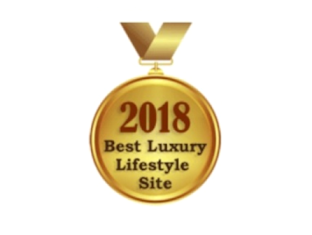 Quote “Luxury Haven” to enjoy 10% discount on any single unit or basic sets purchase! FREE personalized demo at your house or at AMC showroom! 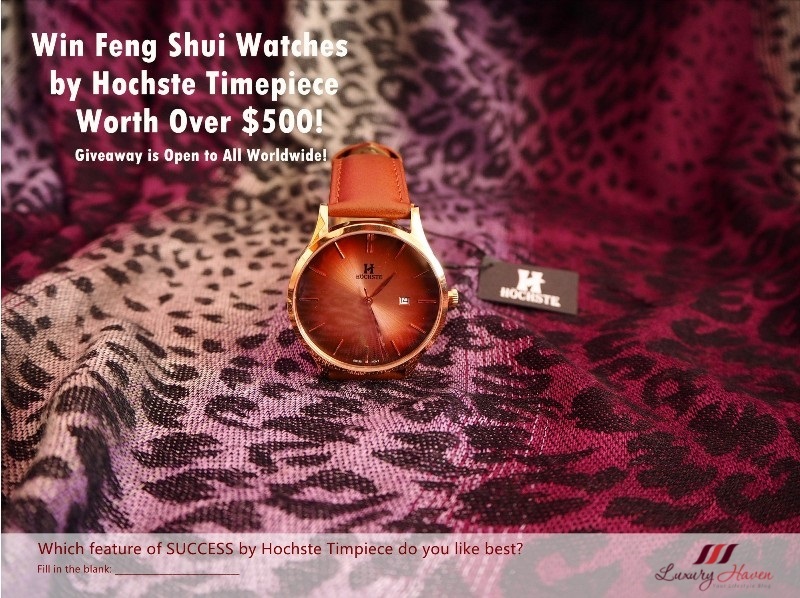 Call +65 6278 7388 or email sales.sg@amc.info for prices or to arrange for your free demo now! 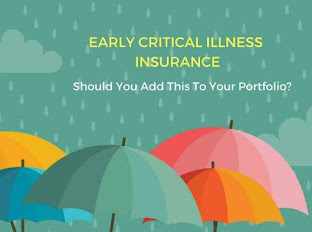 Tried and tested! 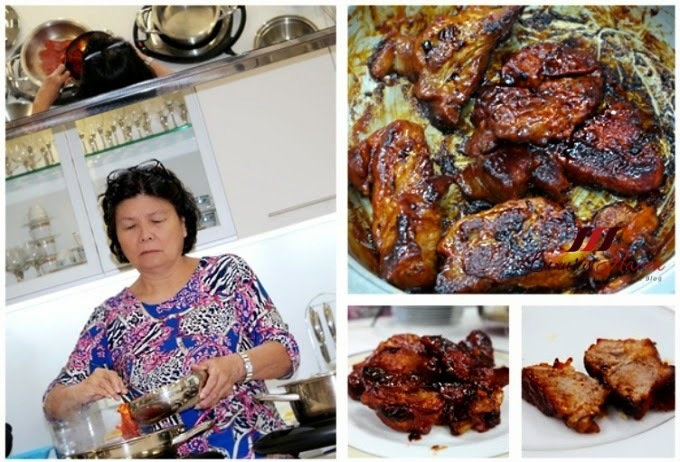 Here's my cooking experience with AMC Premium Cookware at Bittergourd Chicken Recipe ( Winner of Tasty Healthy Recipe Contest by SingHealth ), and Cooking Vegetables Without Water! I'm sure this makes the cooking process a lot easier! such a lovely post...I'm sure it was a nice experience to be there. The photographs are outstanding! AMC rocks! We are still using the older generation ones and they are still well-functioning! I bet the food comes out tasty and cook fast awesome pot. Congrats doll. 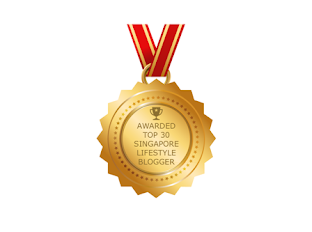 awesome going to check it out.. since everyone loves healthy diet. Very interesting for me sweetie. I want my own set of these in my kitchen:). Have a lovely new week dear Shirley. I don't think I've ever seen pots like this over here. I have heard of air fryers though it's specifically for making french fries (I think). I like the sound of these. Anything that uses less oil always sparks an interest for me. cute event! 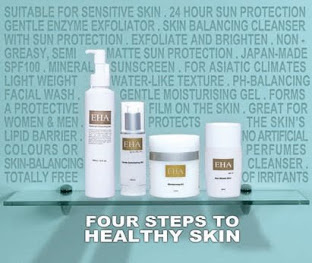 Really interesing products!! 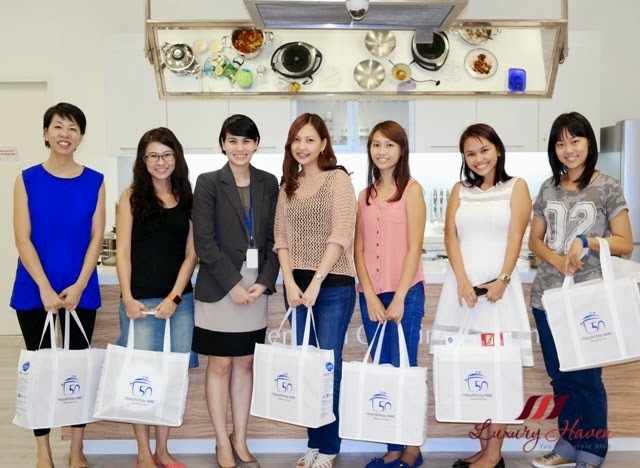 Love such an event to get to know the products and to learn how to cook healthy dishes. It looks really like a perfect system! Oh my Shirley that brings back memories. I grew up with them, so to say, hahaha. When I was a kid my Mother got a complete set, I remember how excited she was. These pots last a lifetime, tho. that japanese cheesecake though.. yum! Looks like some good quality kitchen tools here. Their cookware is amazing. 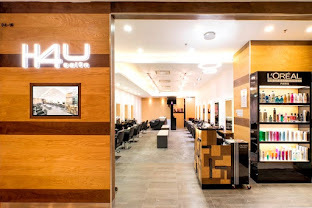 Loves that it saves time and energy. These cookware is amazing! 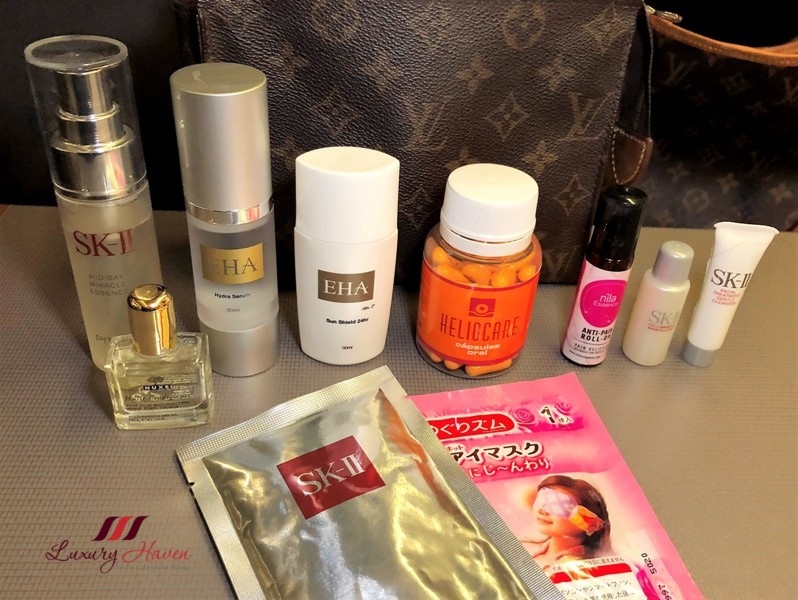 There is so many combinations and possibilities that these system can create. delicious meal from one pot! looks like you had a lot of fun and this makes cooking a lot more enjoyable I think!! My sister-in-law bought a whole complete set some 20 over years ago and she have given me the mini 1.3L pot but I'm not sure which set it belongs to... So blessed, isn't it? 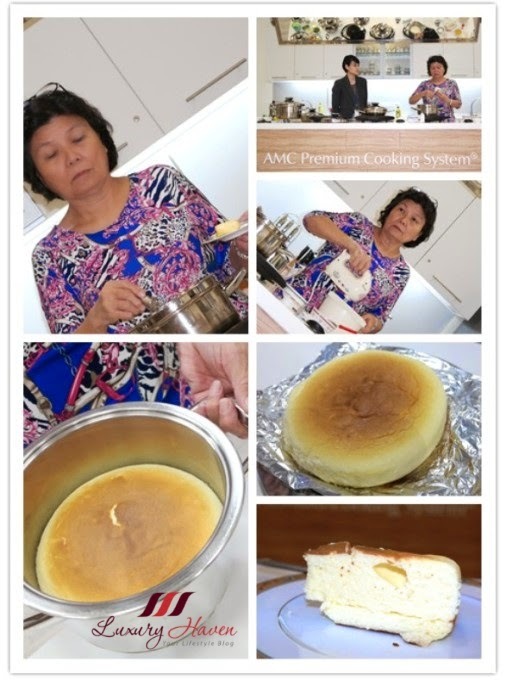 Therefore I'm lucky to be able to had use AMC pot for many years already and I really loves how food turn out to be when using AMC pot. Very cool! It looks like their cookwear is great! Loved this post, Shirley. However I'm scared of this kind of pots. Have a great day! This cookware made full use of technology. 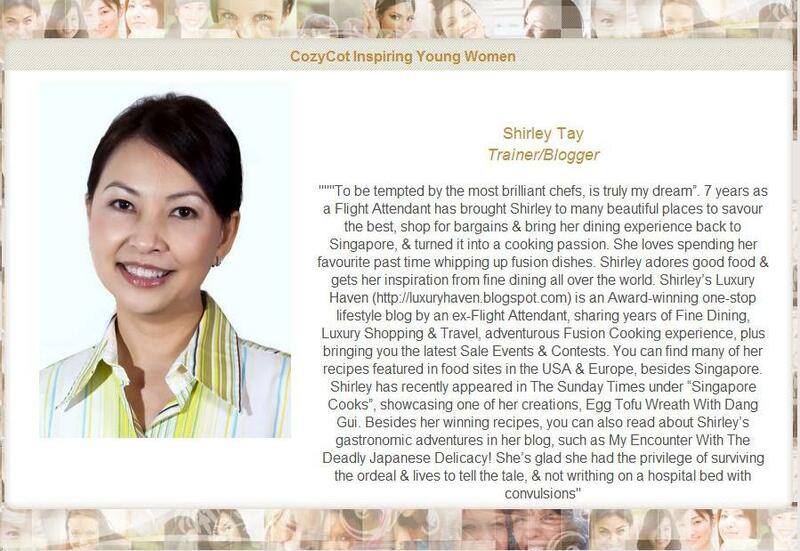 Wow..Intelligent Cookware, healthy and fast.. and your food yummy..
Have a great week ahead Shirley! One my cousin has this one, but she is yet to try it. 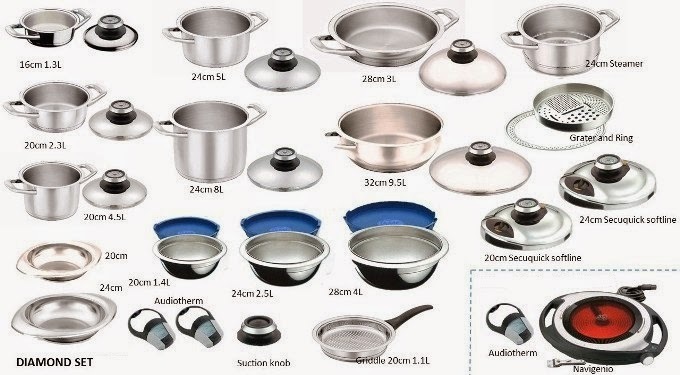 I want to sell this kind of cookware, who should i contact? The info are all above, Rico. Have fun & Happy CNY!